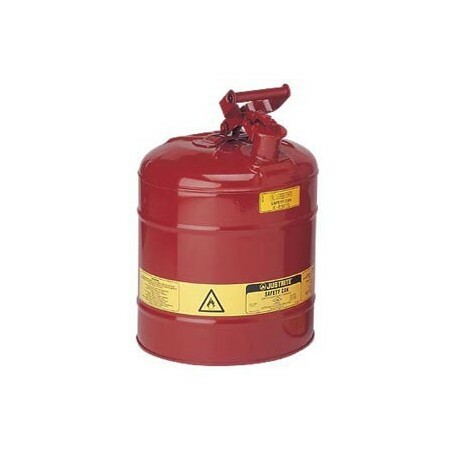 Compliant and economical TYPE I SOLVENT STORAGE CANS reduce fire risks and make everyday use of flammables easier and safer. J001-070 (5 Gal), J112-018 (1 Quart), J112-021 (1 Gal), J112-023 (2 Gal), and J112-025 (2.5 Gal) are constructed of of galvanized steel with a tough powder paint finish. FEATURING: 3.5" (88mm) long chemical resistant stainless steel flame arrester that stops flashback ignition, provides faster liquid flow, and offers exceptional durability. Self-venting, self-closing leakproof lid prevents ruptures from pressure build-up and controls vapors and spills. Warning label includes an extra large ID zone for user labeling of contents to avoid misuse, reduce the potential for incompatible mixtures, or may be used to designate department or individual owner. 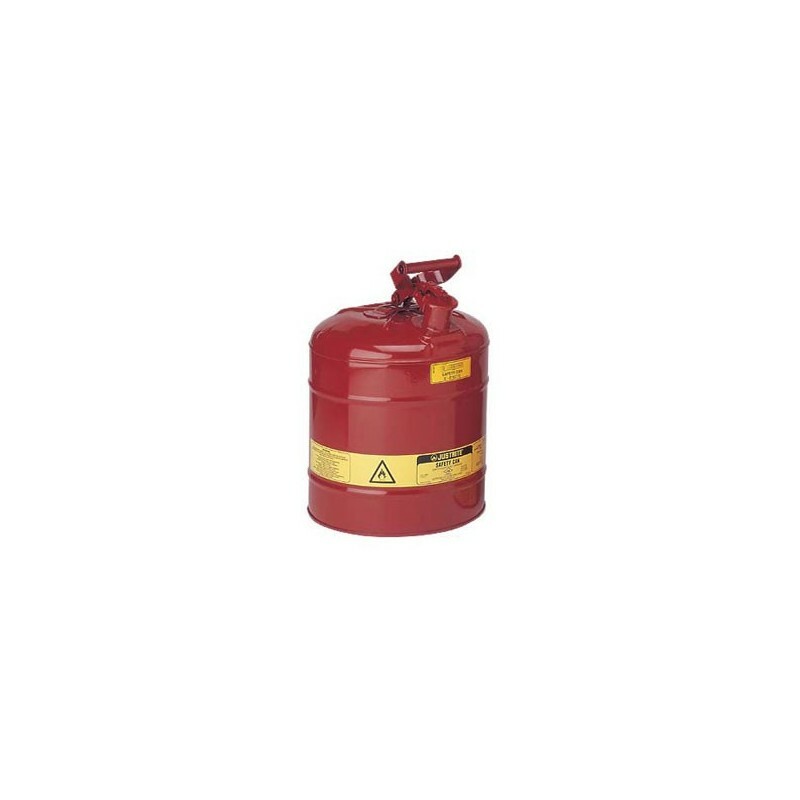 J112-005 (2 Quart) is constructed of 24-gauge hot dipped galvanized steel - 2 quart 63/4" X 83/4"
J112-024 (2.5 Gal) and J112-028 (5 Gal) are Type-I Stainless Steel Safety Cans made completely of sturdy 24 gauge type 316 stainless steel. FEATURING: stainless steel flame arrestor, electric seam weld that joins top and body, and sturdy 16 gauge shock rim for bottom support and Buna Rubber gaskets. ALL MODELS meet OSHA and NFPA FM approved, UL/ULC listed.